Tired of Roulette betting systems that don't work? Keep reading to find out how to get the best odds in Roulette: 4 practical tips that actually work. Let’s start right from the get-go. I haven’t yet found a Roulette strategy that would work well. So, in this article, you’ll not read about a betting system that gives you the best odds in Roulette. Sorry not sorry. 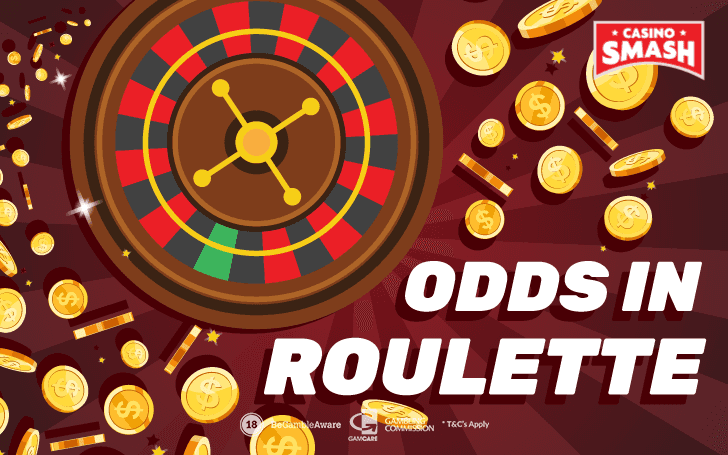 Though, it doesn’t mean you won’t find a way how to get the best odds in Roulette. It’s not going to be a single betting system that is supposed to make you win most and compensate for all your losses. 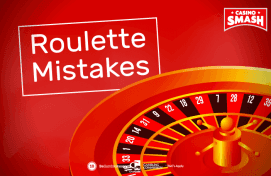 In fact, this article may bust some of the myths you might have believed that can make you win more in Roulette. And it will give you practical tips on how to choose better games and increase your odds. While it’s not going to be a single betting system, it’s the combination of the best gambling tips for Roulette players I have seen. Or in other words, gambling tips that actually work. Without further ado, let’s begin with these tips. This one is pretty straightforward. To know what the best odds in Roulette are, you need to know Roulette odds in general. And usually, that requires the ability to count the odds yourself or to find trustworthy sources on the internet. Since you are here, I assume you’ve already mastered the latter skill. Congrats. Here you can find how to count odds by yourself. But in case you live by a principle Ain’t nobody has time for that, there is a table with odds provided later in this article. Counting odds is simple, too. You need to know how many possible outcomes there are in the game and how many ways of winning there are with your chosen bet. For example, if you make a straight-up bet, i.e. bet on one exact number, it will appear on the Roulette wheel only once. If we take the European Roulette wheel, there are 37 possible outcomes in total - 0 and numbers from 1 to 36. In American Roulette, the number of possible outcomes is 38 because there are 0 and 00 pockets on the wheel. What are the chances of getting a straight-up? Divide the number of ways to win by the number of possible outcomes and you have it. Taking our example of European Roulette, 1 by 37. You get 0.0270. If you want to see the probabilities in percentage, multiply this number by 100 percent and you'll get 2.7 percent. Thus, you have 2.7 percent odds of getting any one number. If you wanted to know what the odds on 0 are in Roulette or any other single number, now you know. And you can see the rest of the odds in the table below. What Are the Odds in Roulette? The most popular Roulette versions are European and American Roulette. Keep in mind that French Roulette has the same bets like the European variant, so you can refer to the table if you play it, too. Only the extra rules applied in French Roulette make the difference between these games. Since you can compare the odds now, it’s easy to adapt them to any Roulette variant. If you play rationally, you want a game that has better odds. If you look at the table above, the clear winner is European Roulette. You can read more about the difference between American and European Roulette here. Essentially, every single bet on European table has better odds. Meanwhile, the payout for each bet is the same whether you’re playing American Roulette or European Roulette. Taking only bets and Roulette wheel into account, European and French Roulette is the same. The French version is also a single zero Roulette, so chances of winning with each bet are the same. Though, there are two extra rules in French Roulette that give you better odds. One of these rules is La Partage. It states that if you make bets that payout 1 to 1 (e.g. black/red or odd/even), if the ball lands in the zero pocket, you get half of your wager back. The other rule is En prison. It works in the same circumstances as the La Partage: if you make the even-money bet and the ball lands on zero. But in this case, you don’t get half the wager back. It stays for the next spin. Thus, you don’t need to bet again. Though, if on the next spin you win, you only get your wager back, but no extra winnings. And if you lose, well, you lose. Casinos may offer French Roulette tables following one of these rules. In both cases, the rules give the player extra edge when playing and, thus, you get better odds in Roulette. Another popular Roulette variant is Mini Roulette. It has exactly the same idea and gameplay, except the Roulette wheel is smaller. Thus, there are fewer options to bet on and smaller payouts. While the straight-up bet in European Roulette has odds of 2.7 percent, the straight-up bet in Mini Roulette has 7.69 percent. That seems a lot better but keep in mind that there are triple fewer pockets on the wheel. And the payout is only 11 to 1 opposed to 35 to 1. All the small differences add up to the different house edge in all variants. And house edge is another significant number when it comes to choosing the games. While I am not going to get into details on how to calculate the house edge, you can see the numbers of the abovementioned variants in the table below. Also, there is a link provided, so you can try all the variants yourself for free. 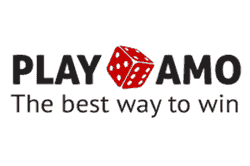 American Roulette 5.26 % Play now! European Roulette 2.7 % Play now! French Roulette 1.35 % Play now! Mini Roulette 3.85 % Play now! Gambler’s fallacy (a.k.a. Monte Carlo fallacy) is a dangerous idea that if something happens often now, it will happen less often later. Read: if Roulette ball keeps stopping in *insert any Roulette number or betting area* many times in a row, it will stop there a lot less often in the future. Gambler's fallacy is common in the games of chance like Roulette, Slots, and Craps. Because you count on luck and can rarely use any skills or strategy in these games. What's so dangerous about it? This belief is the basis for most betting systems. For example, if you follow Martingale, you will double your bet every time you lose. Because according to it, you not only need to win after a loss, you need to cover your previous losses, too. In the fantasy unicorn world where the universe evens everything out, it makes sense. Keep betting on the same number and it will come up as many times as it won’t. But you are not living in a unicorn world, are you? And the outcomes of Roulette are in no way related to each other. They are random. No matter where you play, at an online Casino or a brick-and-mortar one. Unless, of course, the game somehow is rigged. But with all the licenses and regulations online, as well as cameras everywhere in land-based Casinos, it’s pretty impossible to do so nowadays. Thus, if you follow such systems blindly, you are not managing your bankroll very well. Remember: Never bet anything if you can’t afford to lose it. Even if the betting system swears you will win everything you lost back. Because there is never a guarantee it will actually happen. The most simple way to have better odds in Roulette is playing for free. Because you're playing with money that is not exactly yours to start with. It is pointless to carefully choose games, compare odds and house advantage if you are betting with play money and are not planning to win real cash. But if you choose a trustworthy Casino with a good bonus, you are playing for free but still keep the possibility to win. Let’s take PlayAmo Casino for example. It’s a trustworthy Casino with an entire section for Roulette games. You can use many payment options to deposit and withdraw there, including cryptocurrencies. And, they have a perfect welcome bonus of the two first deposits adding up to €/$300 and 150 free spins. While their welcome bonus has free spins for Slots only, the deposit match that sums up to €/$300 is here to satisfy your Roulette needs. Even if you bet €/$1 per spin, that gives you 300 free spins to play Roulette. That’s enough to try all the variants PlayAmo has to offer. And there are many of those. American, European, French, Speed, Auto, Immersive Roulette - you name it. Including a stunning collection of live dealer Roulette games available in a couple of languages. And I’m sure now you know how to choose the game with the best odds in Roulette. May as well use it to win online.